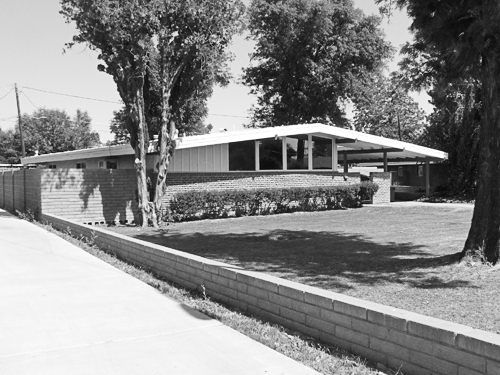 Tract Homes and Neighborhoods by Ralph Haver AIA aka "Haverhoods"
When Ralph Haver came to Phoenix after the war, his mother, father and brother helped to finance the first cluster of red brick Haver Homes on 11th place. Three homes are confirmed, several others are suspected by son Ralph Haver Jr. (Bucky) to be of Haver origin. He built his own home for Millie and son Bucky with the assistance of brother Robert, a contractor, then immediately built the home next door, which came to be known as the Hopkins House; it sold for $7,500. A third house was constructed on the other side of the Haver Family Home selling to the Billings family for $5,000. Two homes feature front doors in the carport, testament to the automobile culture that so defined development in the Valley. This is an early feature not commonly found in pre-war housing. None of the homes have been altered in ways that would disqualify them for historic designation. All floorplans are custom and represent Haver's postwar Case Study Housing experimentation period in the Arts & Architecture tradition. From these humble beginnings a virtual architectural empire grew north along the Uptown artery of 12th Street. After succeeding with selling Hixson Homes, Haver's brother Robert purchased a plot of land in South Phoenix which would become the first known Ralph Haver planned subdivision, Southdale. 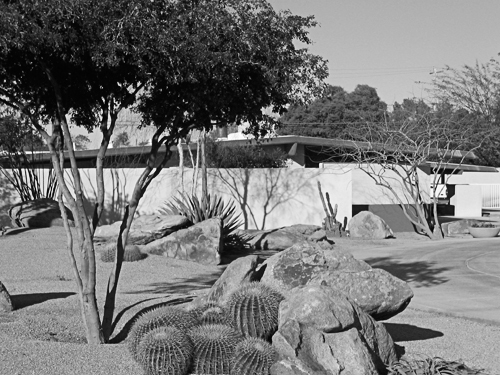 Four clusters of nine homes encircle a series of cul-de-sacs, providing modest yet modern homes for GIs returning to Phoenix. The Arizona Times reported that Haver "strove in the design of the homes to solve the problem of maximum livability and comfort at a reasonable price." 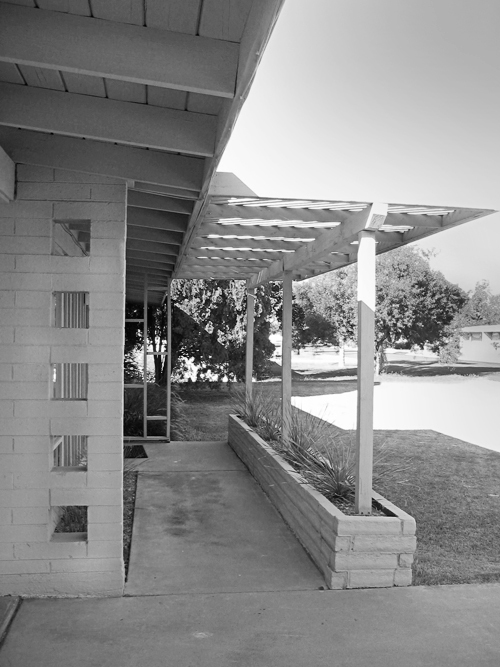 Overhangs were wide and windows were in large paned configurations, often positioned immediately next to the front door. Homes were red brick with simple gable roof; most measured about 900 square feet. An Easter Egg is to be found in the street names; Burgess Lane references Ralph Haver's middle name. These modest homes appear to be largely intact through benign neglect and serve a crucial need for lower-income housing. Home values have plummeted during the economic downturn of 2010. Deeds sold by Robert Haver's company Mason Contractors in 1948 documents two homes priced at $5,800 and $6750. One of several housing developments along the 12th Street corridor by Haver, Mayfair Manor is a fairly original neighborhood at risk. Two-story additions and knockdowns have preservationists and neighbors concerned. The designs are a transitional iteration between the small homes of Southdale and the more fully realized homes of Northwood and Starlite Vista. Concrete masonry unit construction, low-pitched gable roofs, and masonry walls with square voids near entryways are characteristics expressed here first on a mass scale. Northwood is conveniently located on the 12th Street Corridor near so many other Haver-designed projects including an elementary school, a bank and his own office building. Haver truly adored and respected women, so much he considered their needs in home design; first by positioning the front door in the carport for ease of grocery and errands. Marketing materials claim that mothers, brides and grandmothers were polled on their desired features, and the "Princess Home" model was the end result. Although access to the original femineering data is not available, Northwood was marketed as "The Home that 500 Housewives Built". Homes started at $12,000 and featured 3 bedrooms and 1 1/2 bathrooms. Marlen Grove was a citrus grove when the neighborhood was built in 1952. Surviving examples of the old grapefruit trees are becoming a rare sight. Four different home models are flipped and rotated along the streetscape, creating a casual unity yet surprising variety of façades. While they were slow to sell in the early 1950s, it is now becoming increasingly difficult to find an unmodified Haver Home in this neighborhood, as they are widely coveted for their flexible designs and creative design-conscious neighbors. The beauty of these and most Haver tract homes is that they were designed to be modified, so in a way they have fulfilled their destiny well. Unique features include sand-washed interior paint over block construction, low-pitched rooflines, and exposed beams inside. Windemere homes were marketed as the "Home for Southwest Living" where it was springtime every day of the year. All homes came standard with air conditioning; this probably explains the breezy marketing name of the subdivision. The homes are distinguished by their floor-to-ceiling picture windows surrounding an optional large chimney volume. Homes are 3 bedrooms with 1 3/4 bathrooms in roughly 1500 square feet of living space. Buyers had their choice of color for Youngstown steel kitchens and Formica countertops, plus choice of roof gravel color. Homes started at $11,100. Many homes stand in original condition today, while others have been updated and improved for modern living. Starlite homes all feature the same floorplan, only flipped and re-oriented on the lot to create a uniform but diverse streetscape across three short drives. Many homes have their faces tilted toward the street for an attractive 3/4 view. The homes feature a strip of angled clerestory windows that follow the pitch of the roofline, letting in light but maintainiang privacy. Carports were also standard. 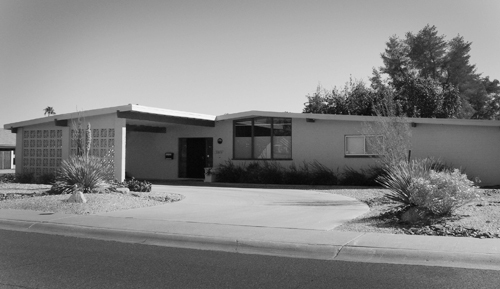 In 1957 Haver later marketed a larger variation of this home as The Starlite Model during the Parade of Homes in North Central Phoenix. Concrete Masonry Units were used to create jutting privacy walls with square voids for simple and effective decoration near the entry walkways. Haver's partner Jimmie Nunn FAIA lived in his Starlite Vista home for many years, and paid $13,100 for it. 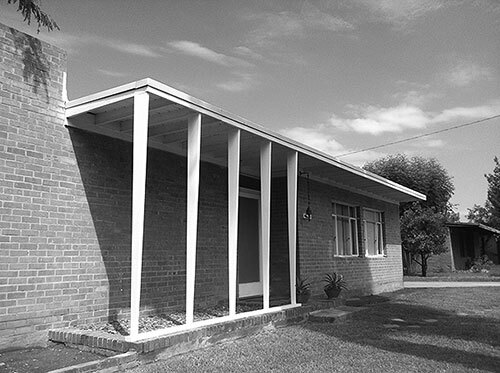 In 1955 Haver's family became too large for his modest red brick home, so he joined several other architects, engineers, builders and construction professionals in the development of the Tonka Vista neighborhood. The second Haver family home is situated on 20th Street, and a few other Haver Homes dot the subdivision. A gorgeous vertical slot window treatment in the family room area and Copenhagen-style rustic milled wood ceiling characterize the Haver Family Home. Other prominent Phoenicians that either lived in or designed for Tonka Vista include Del Webb, Joe Ashton, Bishop White, Chuck Magadini, Burton Barr, Fred Guirey, and Al Beadle. Haver took what he learned in the Princess Homes of Northwood and applied them to this fringe neighborhood of Arcadia. "Luxurious Living in the Shadow of Camelback Mountain: At a Price you can Afford! The Location with a Future!" boasted the advertising. Redwood fencing, doublewide carports with entryway direct into the kitchen area, and free decorator service by Lou Regester Furniture were selling points. Homes started at $13,200 for roughly 1400 square feet. Most appear to be intact from streetside, and there is no immediate threat of overdevelopment. The neighborhood has kept a low profile and therefore the homes remain largely intact. The oft-overlooked red-headed stepchild of Haver neighborhoods is a cluster of traditionally-styled red brick ranches of ample square footage in North Phoenix. Homes are all yellow brick with gable and hip gable roofs, and average around 1900 square feet. The developer was Butler Homes, whom Haver collaborated with again in Scottsdale. The subdivision is testament to Haver's desire to remain accessible to the masses while continuing to develop his own signature style. He did the same in Hoffmantown, a red brick community also on the west side near Chris-Town Mall. 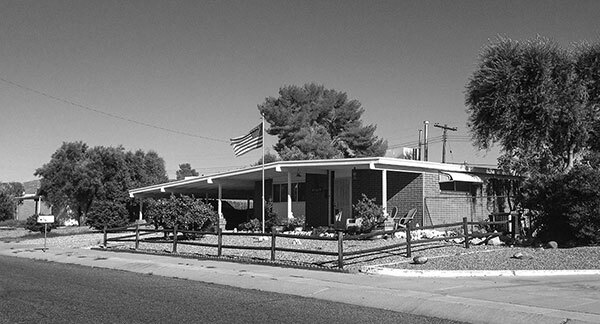 By 1956 Ralph Haver was firmly established in the business of not only building custom homes but also affordable tract home designs across Arizona. Custom and semi-custom homes could easily cost twice as much as one of these standard shells priced in the $10,000 range. The typical household annual income in 1955 was only $4400. The goal of Tucson's P.A.T. 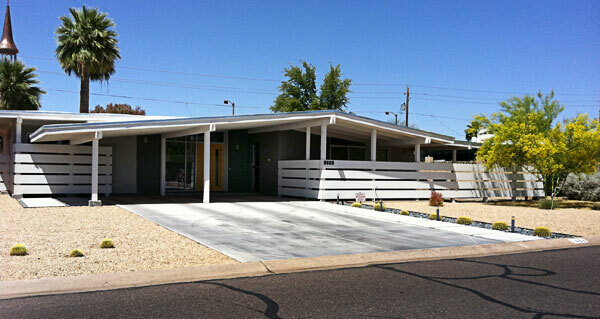 Homes was to offer the most perfect Arizona-styled home for the desert climate and lifestyle. A range of traditional, ranch and modern elevations were offered to suit the consumer's taste. Some of the floorplans are similar to Haver's Starlite Vista "Spacemaster" and "Panorama" models. 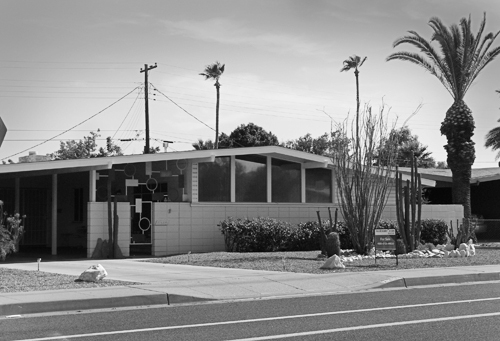 The first known example of the Town and Country style neighborhood design is situated firmly between Phoenix and South Scottsdale near the Miracle Mile area of development that extended from Central Phoenix out toward its sister city. It was produced in collaboration with developer Fred Woodward who had a short but intense period of homebuilding activity in the late 50s. 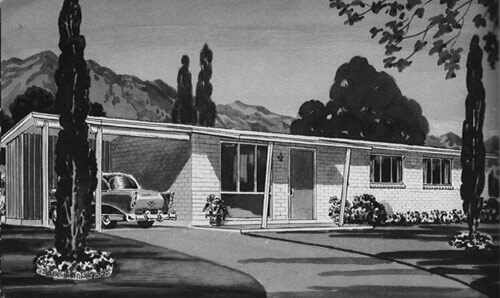 It was marketed at the time as "The Home with a Future". Kitchens were U-shaped, and the patio-port was marketed as Spanish in styling. The poured concrete patios feature the same redwood grille pattern as the trellis style patio cover above. Some homes also feature clinker brick style wainscoting or Superlite Shado-wal detail. Models started at 1505 square feet for 3 bedrooms and 2 bathrooms for $12,500 – $15,700. Few homes have been altered in ways that would disqualify them for historic designation. It has an active neighborhood association and is an attractive destination for prospective homeowners seeking unaltered Haver homes. 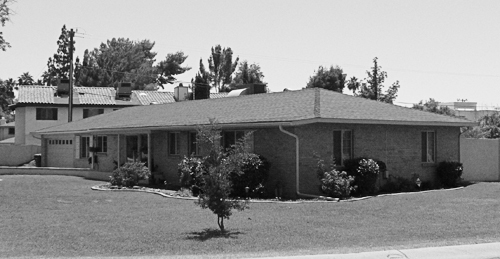 One of the most intact Haver neighborhoods standing, Janet Manor was built upon a mature citrus grove. The original ranch house sits elegantly in the middle of the subdivision. Rustic Modern is the style, with clinker-brick details on several wainscoting façades, and many redwood patio-ports intact. Characteristics include high strip windows offering privacy and light, and birch cabinets. Homes ranged in price from $14,950 – $18,600 for 1570 square feet, 3 bedrooms and 2 bathrooms. Homes of the Town and Country style were so appreciated that they are found dotted all over the city built on single custom homesites, fulfilling the concept that they were intended to expansible and modified. 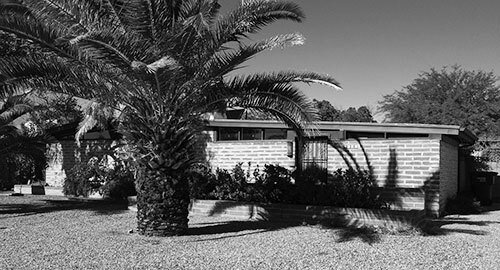 Town and Country Scottsdale is the first modern-styled neighborhood ever to be designated historic by any city in the Valley of the Sun. 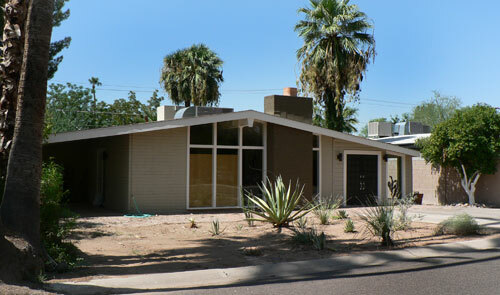 Sixty-two homes built diagonally from Haver & Nunn's Coronado High School complex were designated by the City of Scottsdale in 2005 and added to the National Register of Historic Places in 2010. Sliding glass doors lead out to the patio-port area, and corner-to-corner walls of glass at eye level let in light but protect privacy. The fourth windowpane visible from streetside is deceptive — it is actually the window for the bathroom. Clinker brick treatments in the wainscoting of some elevations, as well as the open grid form above the patio-port are two defining characteristics. These 3 bedroom and 2 bathroom homes sold for $15,850 their time. 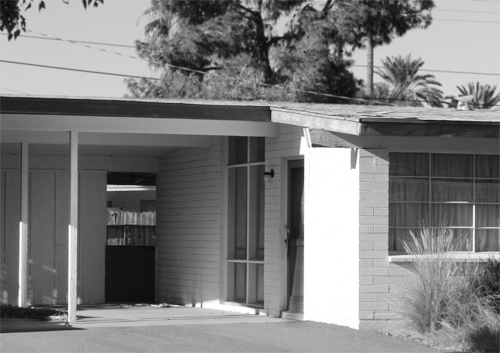 The homes are mostly intact and slowly benefitting from the assignment of exterior rehabilitation grants through the City of Scottsdale Historic Preservation program. These tract homes in Tucson bear a strong resemblance to Haver's Town and Country neighborhoods of Phoenix, but use a regionally-appropriate mortar wash and rustic brick. Developer Developer J. Howard Cheuvront's marketing materials cited Haver as the designer of the Linda model, but the provenance of the other models is yet unknown. Some bear a strong resemblance to other Haver motifs such as clerestory windows, "Lucky 7" shaped slot window and partially enclosed Patio-Ports. The P.A.T. Homes of Grande Vista, Wilmot Vista, Craycroft Village and Donna Vista represent the largest known continuous tract of Haver Homes in a master-planned community.